One of my clients received a call from a competitor who was upset that my client's firm had hired away one of their employees. The competitor called the action "unethical"--even though the employee was enticed to leave by his brother who worked for my client. Is is unethical to hire employees away from a competitor? Many believe it is. Under what circumstances? When a man recruits his brother to join him? What if an outside recruiter had been involved? Is that more ethical? 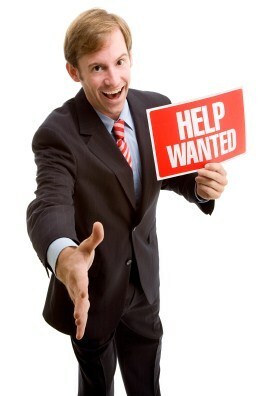 Many seem to think it is since they hire headhunters who often pull candidates from competing firms. The ethics question is becoming relevant again. Despite the economic uncertainty, many firms are doing quite well and are hiring. The best candidates are typically gainfully employed and are not actively looking to leave. So the old "they find us" approach of simply advertising openings isn't likely to be adequate as business picks up and the pool of attractive candidates shrinks. That will push many firms to recruit from their competitors. Does that cross the line for you? Do you think it is unethical to directly recruit a candidate currently employed by a competitor? What if the candidate works for a firm that is not a direct competitor? Is that more ethical? Is it more ethical to use a headhunter to recruit from a competitor than it is to do it yourself? If so, why? Is it more ethical to steal a long-term client from a competitor than to steal an employee? Which action is likely most detrimental to the competitor? Your answers will likely vary depending on circumstances. For example, you may feel more uncomfortable hiring someone from a competitor you know versus one you don't. The way you approach the candidate (calling at work vs. calling at home) will probably make a big difference. The main point of my questions is to pose a larger question: Are your responses ethically consistent? If you haven't already done so, let me encourage you to have this discussion with your colleagues. The companies that are most successful recruiting take the initiative in identifying and pursuing desirable candidates. They don't just place ads and see what turns up. In many cases this means they are pursuing individuals currently employed by competitors. Clarify your firm's ethical boundaries in recruiting. The first step is to assess the ethical consistency of your current practices. For example, I know firm managers who claim that initiating the pursuit of a competitor's employee is wrong, but have no problem hiring an outside recruiter to do the same thing. Plus they offer referral bonuses to employees who bring candidates to the firm, which would seem to encourage the very behavior they call unethical. So where's the line? I think it's important to clarify where your firm stands on the ethics of recruiting. Work within the context of relationships. At my last place of employment, I actively recruited a few individuals who I highly valued both as coworkers and as friends. I had a selfish motive, of course, but I also believed I was offering a better opportunity than their current employers could. Is it wrong to recruit a friend? Most would say it's typically not. So a starting point in avoiding the ethical quagmire in recruiting is to work within existing relationships. This is the intended purpose of referral bonuses, to encourage employees to talk with their friends and former colleagues about joining their firm. The "we find them" approach is rooted in relationships. Not only does this address some of the ethical dilemma, but it's a far more effective way to recruit. The "they find us" method attracts mostly strangers, where you have to make a quick assessment of the candidate's competency and character--which often leads to hiring disappointments. Building relationships first is a better way when you can do it. Plus recruiting people you know usually involves less ethical ambiguity. Use only recruiters with impeccable ethics. My preference would be to avoid headhunters altogether, instead mobilizing your staff to leverage their relationships in meeting your recruiting needs. But that strategy isn't always adequate. So when a recruiter is needed, it's important to select one who embodies your firm's values. The recruiting profession has its share of individuals with questionable ethics. Plus, even among the ethical recruiters, you may not be entirely comfortable with their methods. Ask your current or prospective recruiter about his tactics. How does he go about identifying potential candidates, contacting them, screening them, selling the opportunity, helping close the deal? Would he later recruit individuals he's previously placed with another firm? Some do. Will the recruiter adhere to your firm's ethical boundaries? Always check references before hiring a recruiter. Overselling the job opportunity, either by exaggerating the potential or by failing to disclose some significant issues. This isn't always intentional, but it's misleading nonetheless. Failing to acknowledge some serious shortcomings on the candidate's part. For example, overlooking weak interpersonal skills because we're so enamored with the person's technical capabilities. Integrity in recruiting demands an honest assessment of the benefits and risks for both parties. If you uncover factors that suggest a poor fit--no matter how talented or qualified the individual--talk about it with the candidate and with colleagues involved in the hiring decision. I've seen situations where the firm's honesty in such matters encouraged the candidate to join the firm later, when either the position or the timing was more attractive. Recruiting in a highly competitive market, much as with business development, presents a myriad of both tactical and ethical choices. Some firms choose to ignore the most effective strategies, excusing their lack of drive by calling it "more professional" or ethical. Other firms, by contrast, let the pressures of competing cloud their judgment in matters of integrity and ethics. When it comes to recruiting, has your firm adopted practices that are aggressive, effective, and ethical? Or are you struggling to find that middle ground? If the latter, hopefully this post will at least get the dialogue started.